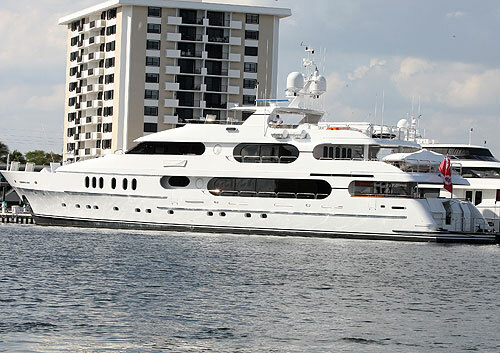 Tiger Woods is keeping out of the public eye -- and wants his 155-foot yacht to do the same. 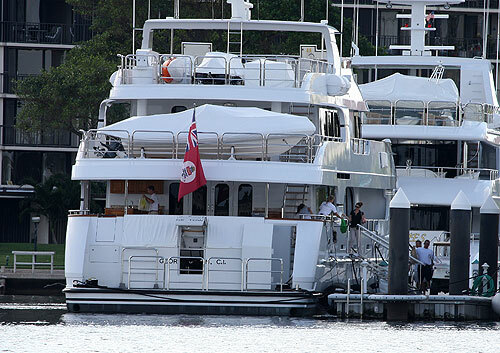 The name on Woods' Boat -- "Privacy" -- has been concealed with large white tarps, new photos show. The pics also show staffers carrying groceries onto the boat, sparking rumors that Woods is holed up there -- or that he plans to be. The PGA star, 34 -- who wed Elin Nordegren in 2004 -- has shied away from the spotlight since being romantically linked to 11 women.